Graphic tees are a tricky trend. I didn’t much care for ’90s fashion even during its heyday. So, the ’90s revival is a bit of a challenge for me, sartorially speaking. If you, like me, are having a hard time figuring out this “new” fashion movement, maybe the styled outfits below will help. Keep reading to find out where to buy the pieces! 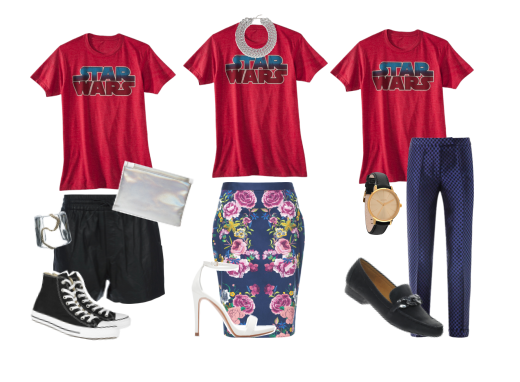 I’m actually a pretty big Star Wars fan, so naturally I chose a Star Wars graphic tee for this feature. This particular one can be found at Target.